Lightly beat eggs in a bowl. Add orange juice, milk, sugar, vanilla, and salt. Mix. Dip bread slices in egg mixture, turning to coat both sides. Brown both sides on hot, pre-heated griddle that has been buttered or sprayed with non-stick cooking spray. Lightly dust each serving with confectioner's sugar (if desired) and serve with softened butter and syrup. 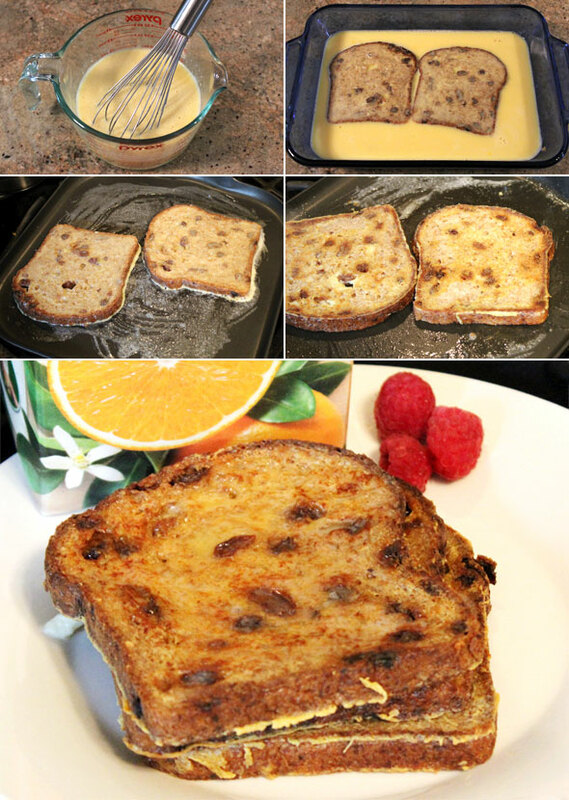 This French toast has subtle orange flavor from orange juice that goes really well with a touch of vanilla in the recipe. Mr Breakfast would like to thank kpossible for this recipe. Recipe number 1388. Submitted 11/11/2004.